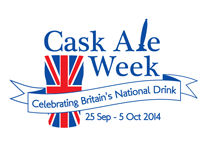 ﻿Cask Ale Week 2014 starts today, although as it runs until Sunday 5th October I suppose it's really only a week if, like the mad French revolutionaries, you support a decimal week of 10 days. One of the interesting snippets from the report is that publicans are for more stuck in the mud on real ale stereotypes than drinkers are. It says that 43% of publicans agreed with the statement ‘Most cask ale drinkers are middle aged men with beards and sandals’ and 41% agreed with the statement ‘Women don’t like cask ale’, while only a fraction of that number of drinkers agreed. “These are outdated stereotypes that need to be consigned to the proverbial slop bucket,” said the report's author Pete Brown, “and as the beer revolution and the real savouring of taste continues, no doubt they will be.” It is a worry however, because if publicans believe that sort of nonsense they could harm both the availability and the reputation of real ale. You can read Pete's initial summary of the research behind the report on his blog here. Oh yes, free beer: one source is the FreeDrinkPubs website. Register on the site and it'll email you a coupon that you can print off. You can only redeem it at participating pubs – mostly pubco pubs selling national brands, but many of them are excellent places to drink. Another is reportedly the Daily Telegraph this coming Saturday (27th September) which will carry a free pint token, and then there's the likes of pubco TCG (formerly the Tattershall Castle Group), which as well as its former namesake on the Thames also has several dozen other venues around the country. It's running a promo called Proud of our Ale until 9th November; this includes a buy-six-get-one-free offer, which is not quite as generous as the more traditional BOGOF, but every little helps – especially when there's also 20% off for CAMRA members, which I guess equates to buy-five-get-one-free. Can you combine the two for buy-six-get-two-free? No idea, but here's hoping! Haven't seen any yet but always on the look out for some!